This German US Zone blow accordion is post WWII, and likely pre-1955. It comes from the area that after the Second World War was West Germany. This colourful little blow accordion is in remarkably good condition. Unlike many of its counterparts that one sees on eBay and other auction sites, this little instrument still has its mouthpiece. Another interesting thing about this instrument is that it only has 5 keys, unlike the usual 8, or 8 + 2 bass keys for a total of 10 that we see in other German-made blow accordions like the Hohner Sax, the Ands. 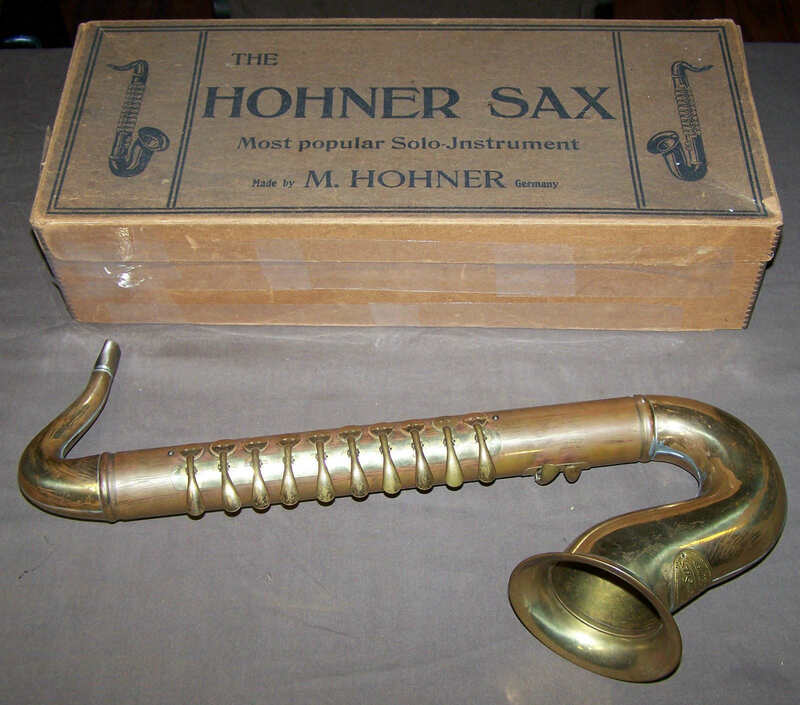 Koch Saxaphone, or even this similar wooden model from an unknown maker. This fewer number of keys leads me to believe that this colourful, German US Zone blow accordion was likely not made as a real musical instrument, but rather as a toy. 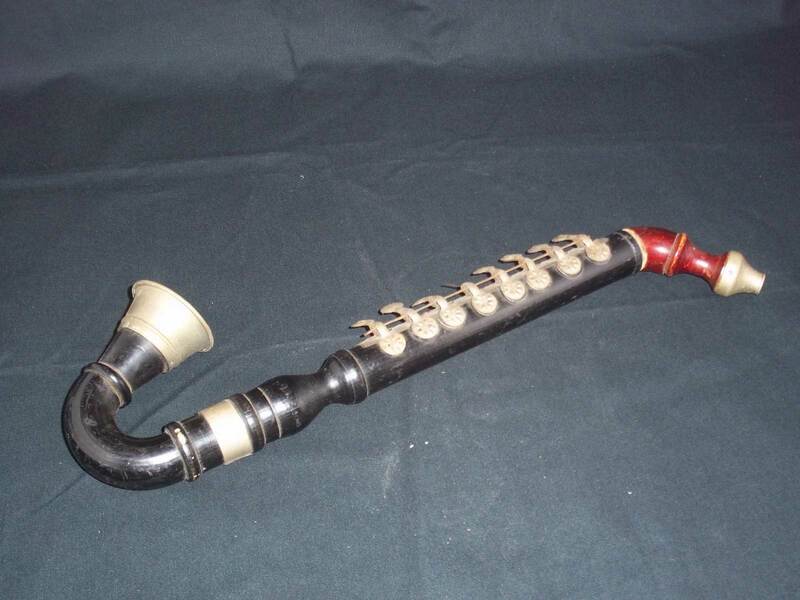 Toy or not, this baby sold for a lot compared to similar instruments. The seller might have only received 1 bid on this German US Zone blow accordion, but that buyer was willing to shell out $59.99 US for the privilege of being this horn’s new owner. Approx. 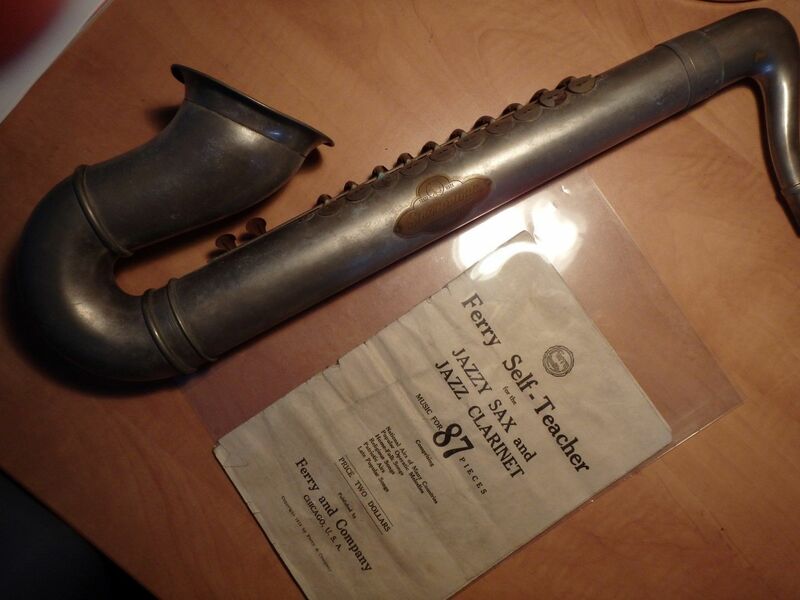 12″ tall, this wooden saxophone is marked U.S. Zone Germany. The finger keys are metal and play with a harmonica sound. Very good condition with only slight scuffing to the paint. Great sound and all the keys work.